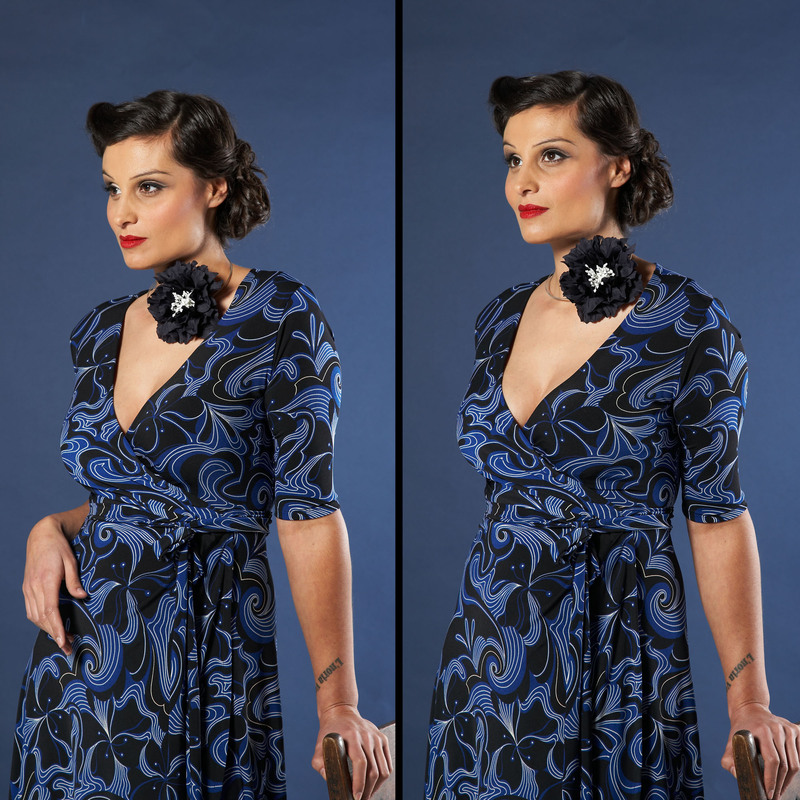 Eleni is wearing a very classic Charlotte Wrap Dress in WAVEFORM. Cut on the bias, this dress is designed to fall gracefully from the hips. Corsage by Sharon Nam, available at Sprinkle Emporium.